Our 3rd annual Empty Bowls Event is Saturday, Feb 9th at the Williamsburg Christian Reformed Church to support our local Community Food Share. Tickets will sell fast this year! Details of where to buy tickets will be posted on www.communityfoodshare.ca in January 2019. Our master classes are open for anyone to join but will be of most interest to intermediate to advanced potters who are interested in learning new techniques and practices from master potters. LOAM will have the pleasure to welcome Eiko Maeda a second time to share this uncommon ceramic technique using coloured clay known in Japan as ‘Nerikomi’. 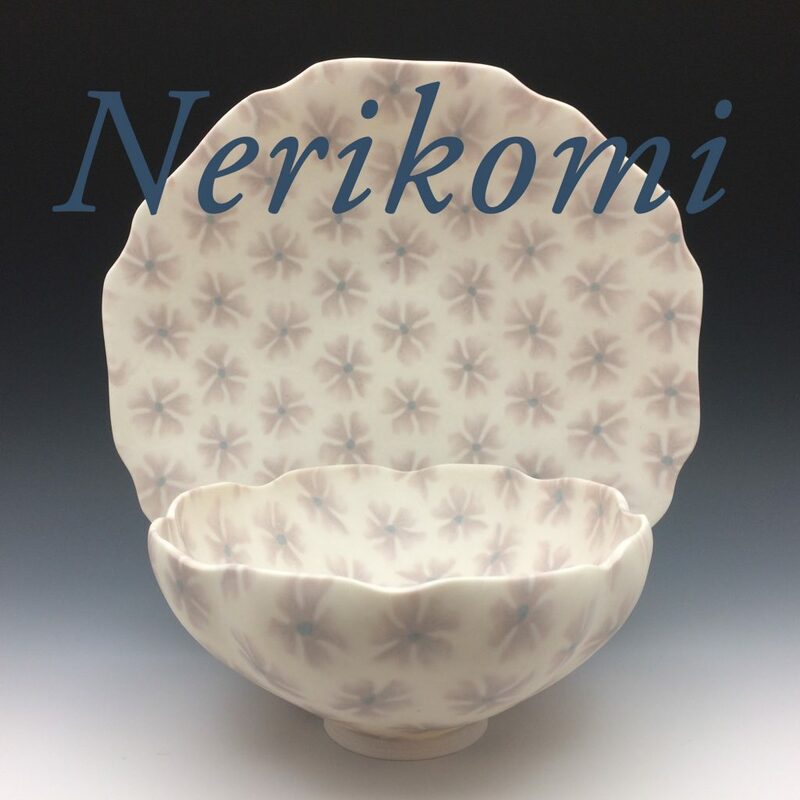 Through careful handling and blending of tinted porcelain Eiko produces delicate patterns in slabs of clay and transforms them into exquisite functional vessels. In this hands-on workshop you will be shown how to add shades of colour to the clay then how to combine the different coloured clays to create a variety of patterns. You will be shown how to prepare the clay so that the patterns are well compressed and integrated into a slab that you will then use to make vessels. Eiko’s art education began at Joshibi University of Art and Design in Tokyo where she specialized in Japanese lacquer (Urushi). Eiko first learned Nerikomi back in Japan from Master Eiji Murofushi, a pioneer in the field. Eiko is currently based north of Toronto in Woodbridge, Ontario.This workshop is intended for intermediate and advanced potters with some experience in hand-building. All materials will be provided. Your creations will be bisqued fired for you and ready to be picked up 2-4 weeks after the workshop. See a short video about Eiko Maedo and the Nerikomi technique. Slow, calming and absorbing: coiling offers great opportunities for individuality and the expression of ideas Its past use has ranged from beautiful simple, primitive food containers to highly decorated, sophisticated sculptural forms. Coiling requires little space, little equipment, little expense and offers a great deal of potential for individuality. 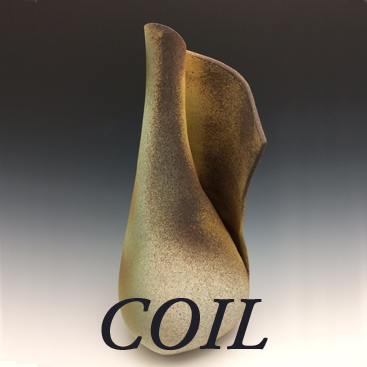 Kiln firing, Raku or Smoke Firing are all wonderful options for firing coiled work. she will share with you in this one day class. Janet will also talk about how she sprays on her glazes. This hands-on class is aimed for those with some prior experience working with clay. All materials will be provided and your work will be bisque fired at LOAM. Please note that this workshop will welcome a maximum of 10 participants. 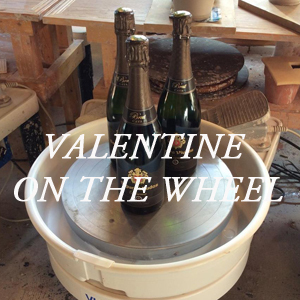 Join Joan Bruneau in this two day demonstration as she demystifies her innovative methods for constructing pottery forms from wheel-thrown parts and moulds. Joan will share her strategies and tips for surface design as she decorates her shapes on day two. You are invited to join either one of the two days or both days of this demonstration workshop. Included with this workshop is a slide presentation on Friday evening from 6pm-7pm at LOAM. There will be drinks and a chance to meet Joan and the other participants. Day One ‘Shape’: Saturday June 1st, 10:00am-4:00pm – $175Joan will demonstrate the following techniques as she builds a pitcher, flower brick, cake stand, salad boat and butter dish: Coil throwing, pulled hollow handles, altering rims, constructing lids and building forms using moulds and thrown parts. 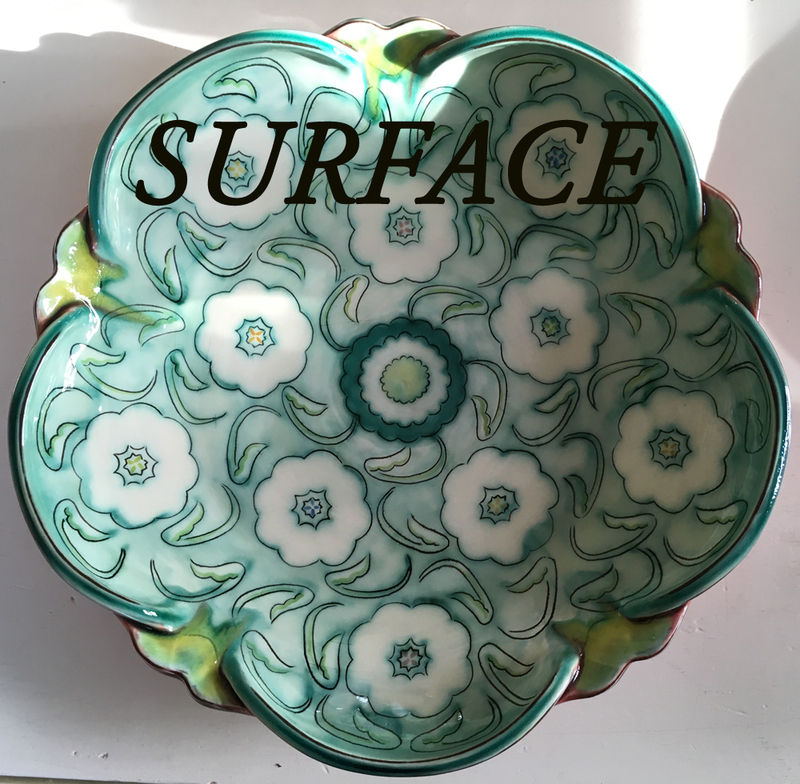 Day Two ‘Surface’: Sunday June 2nd, 10:00am-4:00pm – $175Joan will complete the shapes made in day one and demonstrate pattern design using stencils and pouncing followed by sgraffito decoration and underglaze application. Joan BruneauJoan Bruneau maintains her studio/showroom, Nova Terra Cotta in Lunenburg, Nova Scotia, Canada and has been a part-time Ceramics Faculty at NSCAD University since 1995. She has taught in the Distance Ceramics Diploma Programs at the Australia National University and the Glasgow School of Art. She earned her BFA from NSCAD University in 1988, and MFA from the University of Minnesota in 1993. Joan teaches workshops across North America and was a Demonstrating Artist at NCECA in Pittsburgh, 2018. 2014 April Ceramics Monthly Feature Article “Idyllic Place: The Work Of Joan Bruneau” by Andrea Marquis. Hear Joan in the following podcast interviews, 2016 Episode #294: Potter’s Cast Podcast Interview with Paul Blais and 2015 Episode #109: Tales of a Red Clay Rambler, with Ben Carter. Add these dates to your calendar! Come in, have a glass of mulled apple cider and meet the makers! 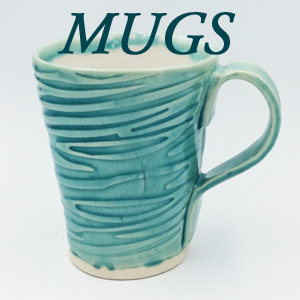 The studio will be overflowing with pottery made by LOAM's studio potters, teachers and staff. 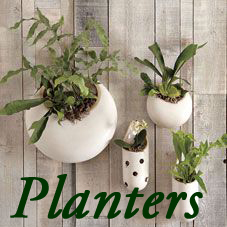 Potters will be on site to meet you and answer any questions you might have about their work. Here is our Winter 2019 Calendar for the classes beginning January 7th, 2019. Register right away to get your first choice of class. For additional workshops news go to Ottawa Pottery ALIVE Group Facebook page. Share your news and thoughts with others in the Ottawa pottery community join the Ottawa Pottery ALIVE Group. Chandler Swain's Summer Pottery Camp is Back! After a hiatus of 5 years I am inviting a limited number of participants to come and work with clay at my waterfront studio near Almonte for 2 -one weeks sessions: July 16-20 and July 23-27. All levels of experience ( including none!) are welcome. Sunday: learn about reduction the how, why and when and using an oxy probe. While the gas kiln is firing we will try out more complicated glazing techniques, latex, wax, spraying, how to layer glazes to enhance your pot. 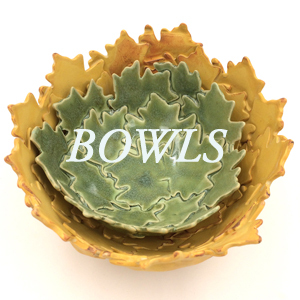 Bring 4 - 5 bisqued pots small to medium with attachments; handles, knobs or sprig decoration (places for different glazes to be applied) for a cone 6 electric firing. These you will take home and fire at ^6 or I will fire for a minor fee. 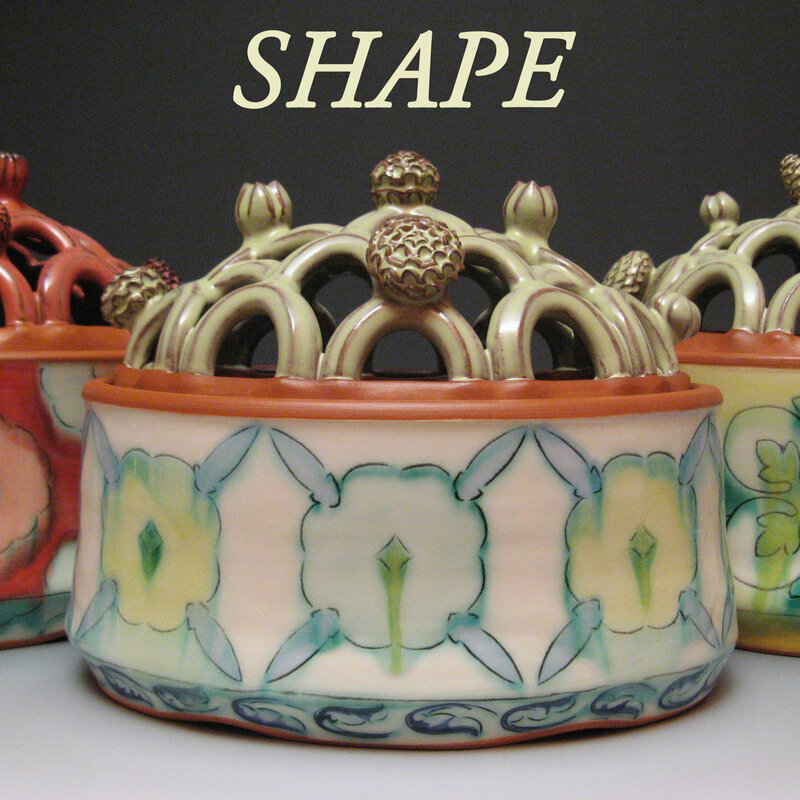 What to bring: 5 - 6 pots of various sizes small to medium made from ^10 clay and cone 6 clay bisque fired to ^06. Pre waxed pots will speed up the day. We will explore the classic gas fired glazes; Celadon, Rutile blue, Copper red, Tenmoku and Shino along with a few newer contemporary glazes. All cone 10 and cone 6 glazes will be supplied. If you want to spray glazes bring an N-95 mask available from most hardware stores. All fired pots will be picked up during the week or the following Saturday June 9th. This workshop is recommended for potters interested in learning more about fantastic surfacing techniques from renowned clay artist Chris Snedden. Learn to use slip transfers, screen printing and other techniques to create stunning images on your pieces. ◦ Subjects covered: Expanded slip. Creating a solid ground of colour, brushwork, finger painting with slip. Scrafitto, Mishima, Hakeme, various layered slip techniques, Wet ground work including marbeling, feathering, and mocha diffusion. · the mono printing process: using a random image drawn from a newspaper, trace the picture and back paint it to add colour to the composition. Have everyone try making a smaller flat tile piece. This will familiarize everyone with the transfer process and help the participants gain a sensitivity to when to remove the covering paper from the monoprint, avoid air bubbles that disrupt the image, and how to fix them if they do occur. · a good time to introduce the use of formal elements and principles of design and how they can be used to improve composition on one's pieces and create interest in the work. · creating repeat prints using rubber stamps, or “block printing” with slip. We will go over tips and tricks to make your prints viable for the transfer process and how to tell if the slip is the correct consistency to “daub” onto the printing block. We will practice this process to make sure everyone has it under their belt, and use some maybe on the flat piece that we created the day before. · an explanation and demonstration of how to make silk screens. How, using Photoshop, to convert images to the high contrast black and white necessary to make the transparencies used to “burn” the photo silk screens. Note: Everyone will receive handouts and product lists so they know what products to use for this process. I will describe how to coat the silk screen with the photo sensitive emulsion and “burn” a screen, washing out the soft bits to create the screen. While that screen dries we will use some prints from the “morgue” of prints I will bring with me. · next the participants will explore using their silkscreen prints in combination with paper resist, and all the other techniques demonstrated, to create depth on the surface of their pieces. Cutting out their prints with scissors and using them in their compositions, maybe in combination with block prints and mono-prints, learning how to make them opaque or transparent to show the background through an image and how to burnish the images on to the leather hard ware. · Gather the works created together for a critque and problem solving session given time. Learning outcome: At the end of the workshop participants will have a greater knowledge of how to use traditional techniques on their work, create their own slip transfers, using various methods, and have some ideas about using them to create either abstract pattern, custom presentation pieces, or subjective narrative or expressive effects on their work.  -2 plates in the leather hard state, in the clay that they use in their own practice, for slip decorating. Hand built or thrown is the makers choice, but the surface needs to be dead smooth. - A metal spoon or burnishing tool.  -An interesting picture, or two, taken from a newspaper not a magazine. -Slip trailer-brushes-any rubber stamps you have around (make sure your name is labelled on them so you get them back)-slips and/or under glazes. Come and see the new LOAM! The studio is now open to studio potters from 9am to 9pm Mondayto Friday and from 9am to 5pm on Saturdays and Sundays. LOAM also offers limited spots for Monthly Rental/24 hour access. If you would like more information click here. Here is our Early Spring Calendar for the classes beginning February 26th, 2018. 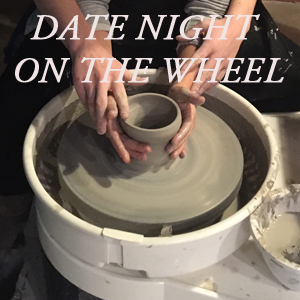 Date Nights on the Wheel & WorkshopsTake a look at our upcoming one time events, this is just the beginning! We will add more as the year progresses. We also offer Master Classes for the more experienced potters. More Master Classes will be announced shortly. Saturday, February 17, 2018, from 1:00 p.m. until 4:00 p.m. at Poterie LM Serafin Pottery, join us and learn how to make the most basic of all things - a pinch pot! Pinch pots are made by taking a ball of clay, inserting your thumb into the middle and pinching the clay outwards to make a small bowl. Our objective in this workshop will be to make 3 nesting bowls accompanied by 3 small spoons. All materials including clay, glazing and firing of your pieces are covered by the fee, which is $60.00, payable by eTransfer or in person cash payment prior to the workshop. LM Serafin Pottery is located at 110 Giroux Pvt. in beautiful Mayo, QC, just 45 minutes from downtown Ottawa and 20 minutes from Buckingham, QC. This workshop is intended to get you acquainted with clay. If you are already familiar with clay, but missing how it feels beneath your fingers, you might also like this workshop. To reserve your spot, please respond to this email with your full name, email address and telephone number. You will be sent a confirmation email along with a request for payment. Once your payment is received you are IN! The workshop is limited to 4 persons per session. There is just one session planned for now, but if there is demand I will announce a March date. The Pottery is opened year round by appointment for shopping. Private pottery lessons in hand building and potters' wheel techniques are also available. To book your personal shopping experience or private pottery lessons, please call 819-281-3307.